Richard Avedon, a leading American photographer, took this photograph of The Beatles in 1967. It was commissioned, alongside four individual psychedelic portraits of the band, by the band's manager Brian Epstein (i.e. NEMS Enterprises). The posters were widely distributed by different magazines, including The Daily Express in England and Look magazine in the United States. This set is one distributed by Stern magazine in Germany, Austria and Switzerland. These posters are seminal images of the late 1960s, not least because of the subject matter. 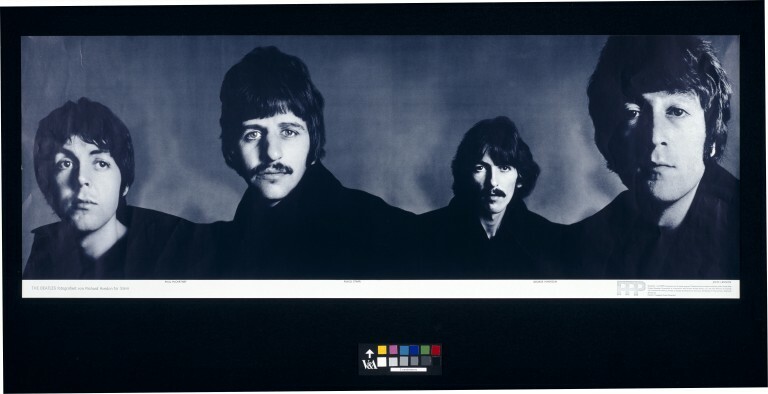 The Beatles were at the height of their fame, and for this banner poster Richard Avedon captured an iconic image of the band in stark black and white. 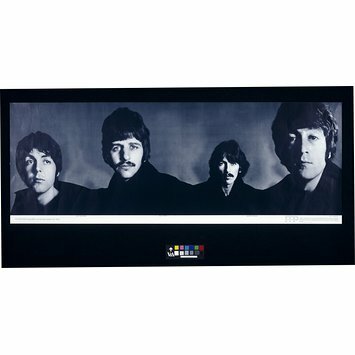 Poster featuring the Beatles, print of solarized photographic image.